CHARLOTTESVILLE, Va. - A September trial date has been set for a University of Virginia student whose bloody arrest outside a bar sparked a public uproar. 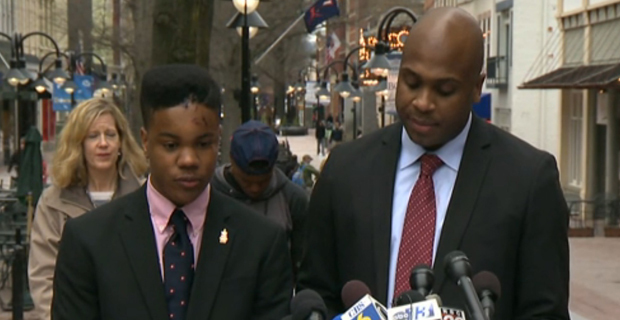 Martese Johnson's arrest in March gained widespread attention when photos and videos on social media showed the 20-year-old from Chicago's face bloodied and him pinned on the ground by a state Alcohol Beverage Control Department agent. Johnson is black and has called the police racist. Johnson is charged with public intoxication and obstruction of justice without force. A local television station reports that Johnson's trial is scheduled to begin Sept. 30. A status hearing on the case is set for June 12.